This MegaMount offers the convenience of tilting your TV to adjust the angle, along with the security of stability. This reliable full motion television mount is ideal for LCD, LED or Plasma Televisions between 37" and 70". With a weight capacity of and impressive 110 lbs. 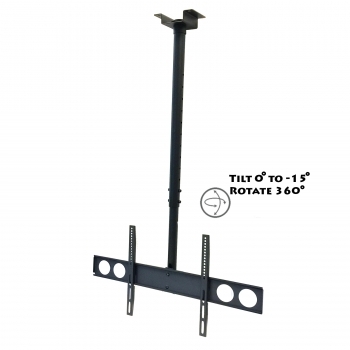 this mount can be utilized with most modern television models within this wide size range. The included installation manual will aid you in having an easy experience installing this mount if you choose to do the work yourself. Of course if you can choose to share the joy of this mount installation with a professional installer and just get right to enjoying your newly mounted television!